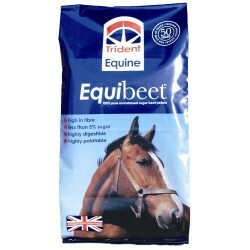 Equibeet is a low-sugar, non-molassed sugar beet feed designed specifically as a non-heating, high-fibre bagged feed for horses and ponies* that’s also ideal as part of a feeding strategy to reduce the incidence of laminitis. 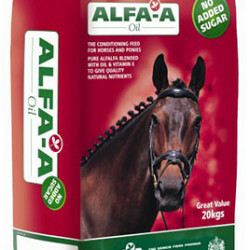 Sugar beet is a popular feed for horses and ponies. It is the dried remainder of the root crop sugar beet, once the sugar has been extracted, and is available as shreds and pellets. Nutritionally, it is a cross between forage and concentrate feed and potentially can make a significant contribution to the horses diet. However, it tends to be fed as a feed-dampener and succulent. Sugar beet is an excellent source of highly digestible fibre, yet has a non-heating energy content equivalent to that of grains; it is also calcium-rich. The fibre helps to maintain efficient gut function and is fermented in the hind gut, slowly releasing energy, helping to keep the horse warm rather than produce “fizz”. The sugars are digested in the small intestine by enzymes, giving a more instant energy. Sugar beet is very palatable, encouraging even the fussiest horse to eat. When fed as a damp, firm feed, it is useful to disguise the flavour of other less tasty ingredients in the diet such as worming powders. When made sloppier, it can help to rehydrate a horse. Sugar Beet Shreds are higher in energy due to the sugar present. They are useful for horses who are ridden for long periods of time without food such as endurance horses and hunters as the energy is obtained from the sugar first, and then it is released from the fibre. Also feeding it very wet will help ensure water intake. Soaked feed can aid rehydration Sugar beet is a natural feed which is a nutritional cross between a concentrate and a forage. It provides a highly digestible source of fibre in a slow release form which is more suited to the horse and pony’s natural way of feeding, and helps to maintain a healthy gut. A highly palatable feed, sugar beet can encourage fussy feeders to eat, as well as acting as a succulent and helping with rehydration, if it is fed very wet. Rich in sodium, potassium and calcium. 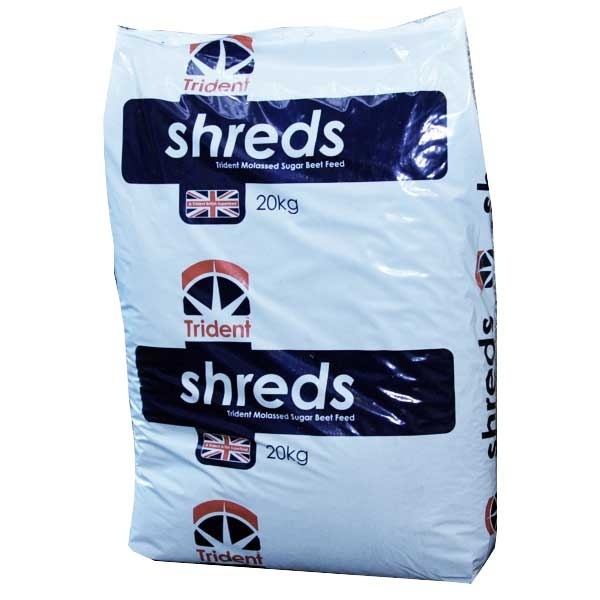 Ideal for mixing with straight cereals. Highly palatable source of digestible fibre. 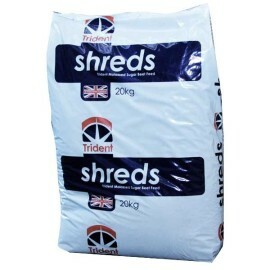 Soak shreds in water for 12 hours prior to use.